Tandem Mentorship Program gathers people of faith to mentor youth facing adversity in the Chippewa Valley and surrounding areas through Christ-centered, guiding relationships. Tandem was birthed out of seeing a need for more caring adults in the teen’s lives that we were volunteering for in 2013. These youth that we were working with were the ones that fell through the cracks. We were able to build trusting relationships with them and had the opportunity to see the potential in all of them. One of our favorite authors and motivational speakers, Josh Shipp says it best, "every child is one caring adult away from becoming a success story." A few years later in Jan 2016, we had the privilege to start Tandem underneath an organization called 513FREE, which is a local worship and prison ministry named after the Bible verse Galatians 5:13. You can learn more about this ministry at 513free.com. Since 2016 we have had 38 community mentoring relationships, and 10, soon to be 13 in-school mentoring relationships. After seeing growth and progress in our program we decided to become our own entity and pursue our non-profit status. We can thankfully say that in Sept 2018, we were granted our 501c3 status! Jennifer is a mental health therapist. She is originally from Moorhead MN, but moved to Eau Claire with her husband, Steve, in 2000. She graduated from Moorhead High School and went on to earn her Bachelor's Degree from Moorhead State University. 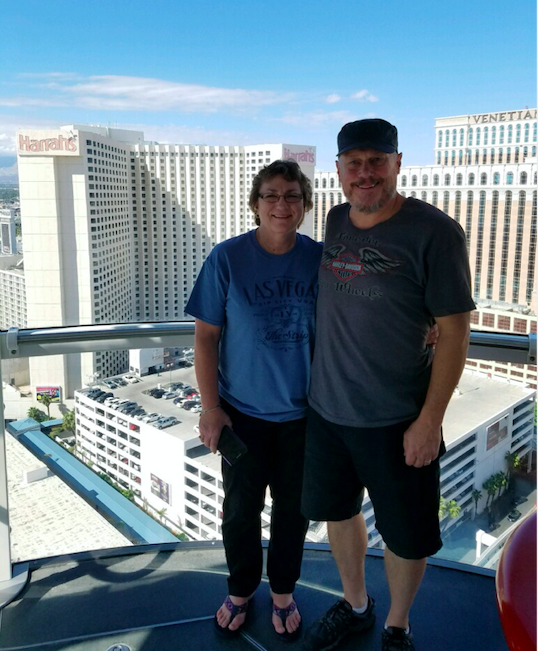 After working as a substance abuse counselor for a number of years she went back for her Master's Degree, graduating from Stout University from the Marriage and Family Therapy Program. She currently works at Vantage Point Clinic. She has been involved with Tandem since its inception, serving on the Committee Team. She enjoys trying new activities; most recently cliff jumping, zip-lining, and sailing. Mary is married to Steve Zellmer and have one adult son. Their son has given them three grandchildren. She grew up in Green Bay. She has worked in the schools for 37 years, usually one on one with students. She knows how important mentoring is and having that relationship with a young adult in need. She believes that if you add Jesus to it all then you have won! Kayla is a wife, mother, and business owner. She and her husband, Blayne, own Ramone's Ice Cream Parlor. Before opening the business, Kayla worked in the non-profit sector, coordinating youth mentoring programs for Big Brothers Big Sisters and the Chippewa Area Mentor Program. Kayla is from Eau Claire and graduated from North High School. She received her bachelor's degree in Human Development and Family Studies at UW-Stout. Kayla has three children; son Jonah, and twin daughters, Stella and Noraa. In her spare time she enjoys traveling, reading, biking, and spending time with family and friends. Tom Lind is owner of Northwoods Investment Center in Eau Claire has been working as a financial planner for past 20 years and prior to that he worked in public accounting as a CPA for 13 years. He is married to Karen Lind and they are empty nesters with three grown daughter, Melissa, Jenna, and Emily. They have lived in Eau Claire for over thirty years. Tom enjoys motorcycles, camping, target shooting, and working on anything that has an engine on it. Anne is the new assistant director for Tandem. She and her husband Mike have lived in Eau Claire for 15 years, raising their 3 children. Emma, Will and Jack. They are members of Peace Church where they have been involved in many areas of ministry for many years. Serving at Tandem has presented her with an incredible opportunity to serve the organization, the community, youth and the church. She was looking for a “job” that had purpose and after that meeting at Peace, she felt God calling her to serve in this role. 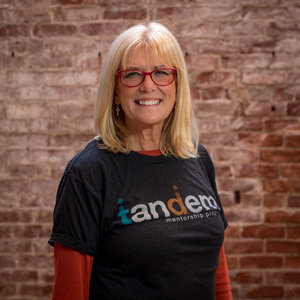 Anne brings many blessings to Tandem, including organization and passion. She looks forward to serving in whatever way Tandem needs her and however the Lord guides her.